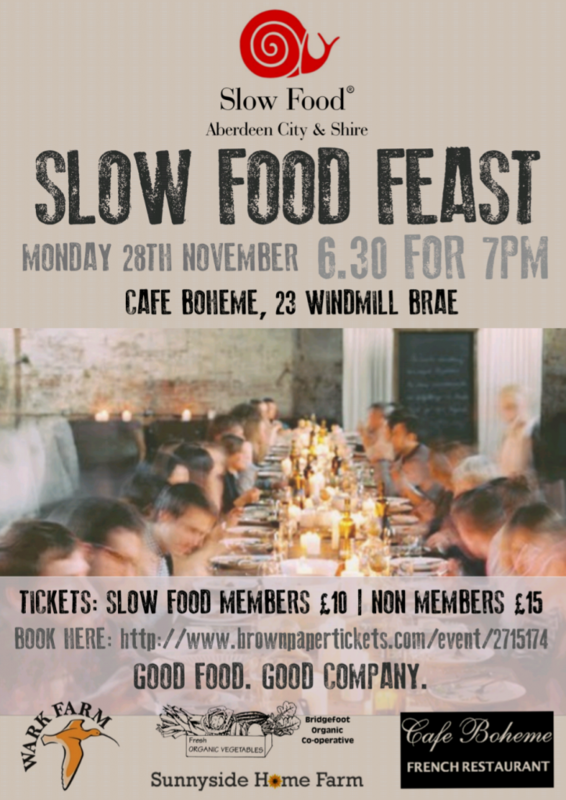 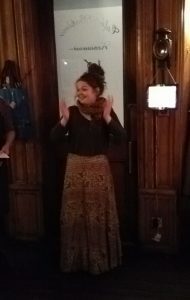 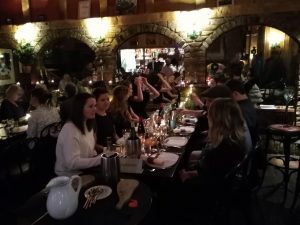 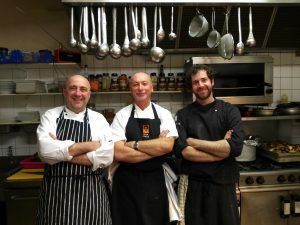 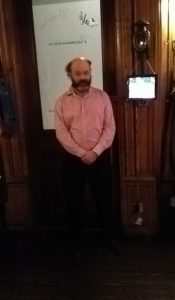 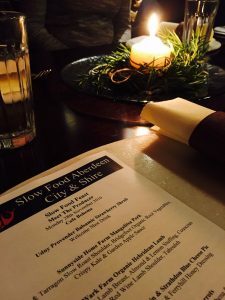 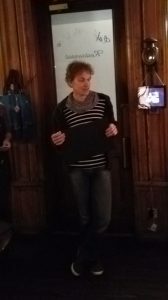 On Monday 28th November 2016 we held our first Slow Food Feast at Cafe Boheme in Aberdeen. 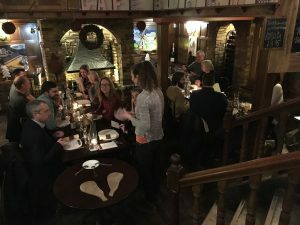 The event was sold out within days of tickets going on sale and there were several requests for returns or cancellations but unfortunately for those asking, there were none available. 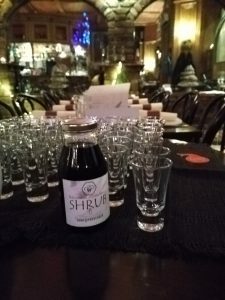 The evening got off to a great start with a reception drink of Strawberry Balsamic Shrub from the Udny Provender which everyone really enjoyed. 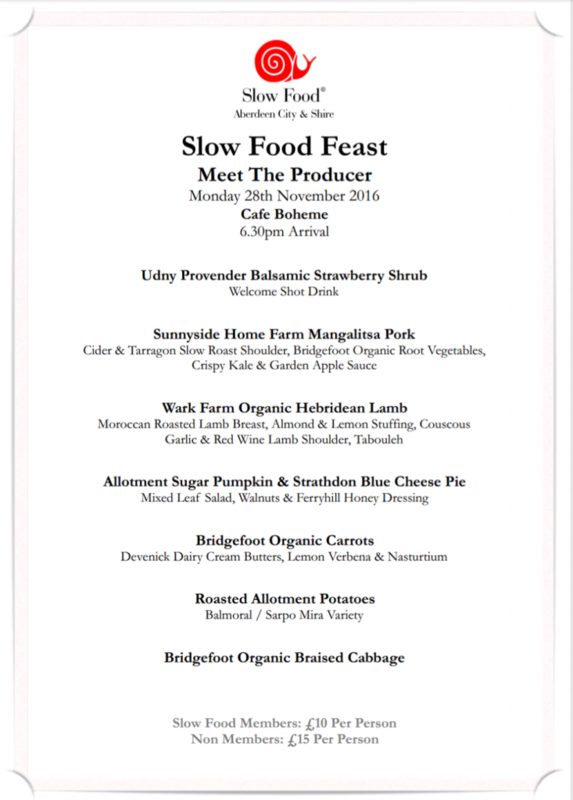 Kevin from Sunnyside Home Farm, Chloe from Bridgefoot Organic Vegetable Co-op and Laurel from Wark Organic Farm who supplied the produce for the feast. 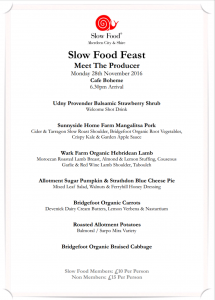 Then it was on with the Feast….